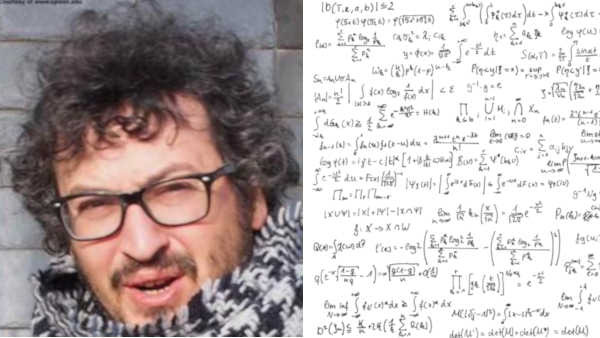 PHILADELPHIA, Pa. -- An Ivy League professor says his flight was delayed because a fellow passenger thought the equations he was writing might be a sign he was a terrorist. American Airlines confirms that a woman expressed suspicions about University of Pennsylvania economics professor Guido Menzio. She said she was too ill to take the Air Wisconsin-operated flight. Menzio was flying from Philadelphia to Syracuse on Thursday to give a talk at Queen's University in Ontario, Canada. He was solving a differential equation, but said he was told the woman thought he might be a terrorist because of what he was writing. American spokesman Casey Norton said the crew followed protocol to take care of an ill passenger and then to investigate her allegations. They determined them to be non-credible.